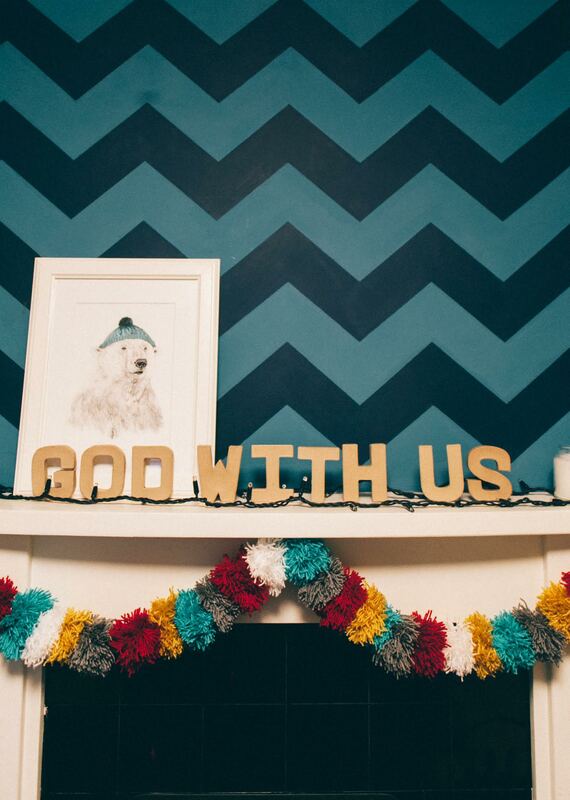 Last weekend, Instagram was full of photos of people’s Christmas trees…some real, some fake, some decorated with craft bits and bobs and some store-bought…essentially, people were enjoying a chance to get to peep into each other’s houses and share some Christmas cheer, especially when they involved a little creativity. A couple of days later, I was talking to my friend Ben who’s done something really brilliant with us this Christmas. 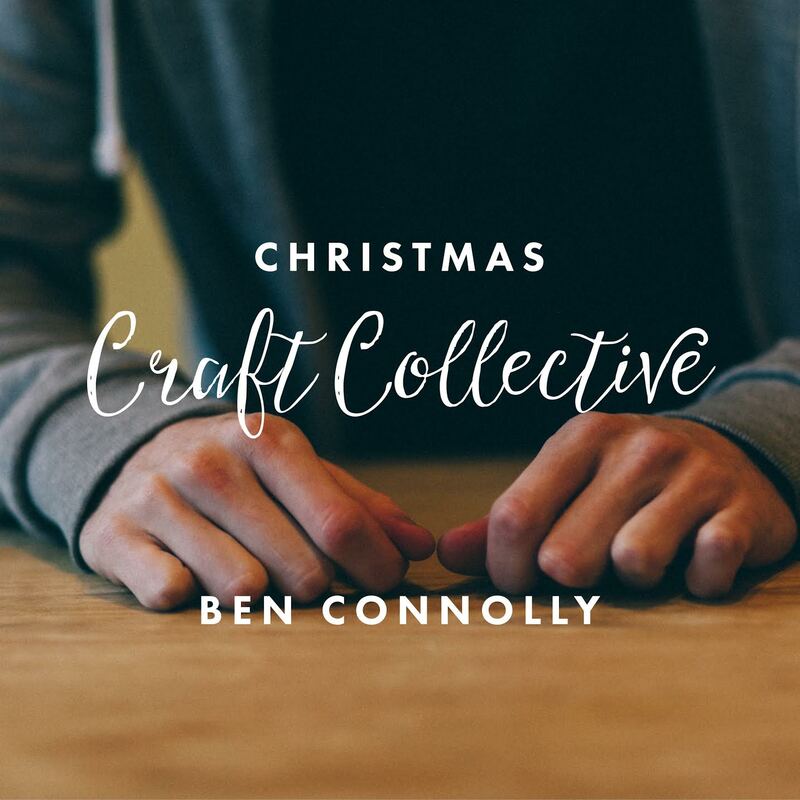 Ben, who is the brilliance behind Angel & Anchor, has always been an anti-trafficking champion and he has given his time and (mad) skills to design some BE-AUTIFUL Christmas cards (on sale here!) to raise awareness and support NMT. To top it all off, he used pom-poms in his photos of them. 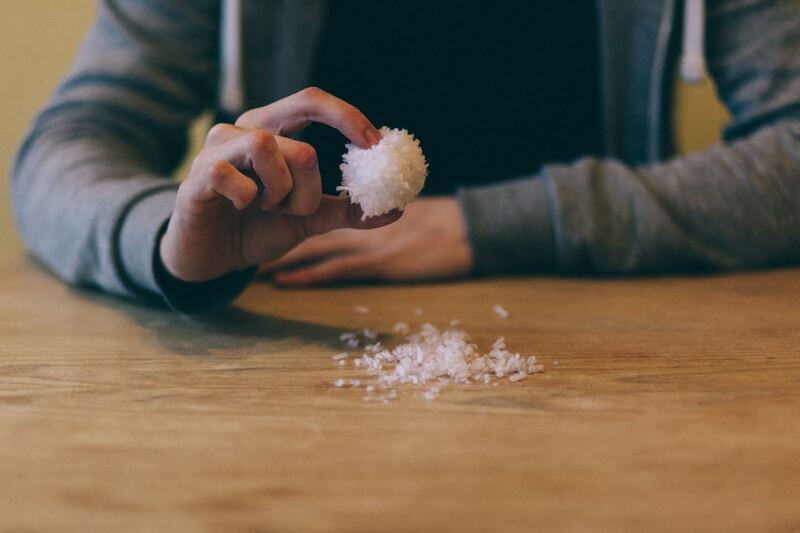 He uses his blog for more serious things, so I said I’d like to host a pom-pom tutorial here…and the idea of a Christmas Craft Collective was born. Being a designer, Ben’s even come up with a fancy-pants logo for the occasion. So today, you get to meet Ben, and in future posts you will meet Alex, Mel, Charlotte, and there’s talk of my handsome husband Dan even sharing some crafty tips! 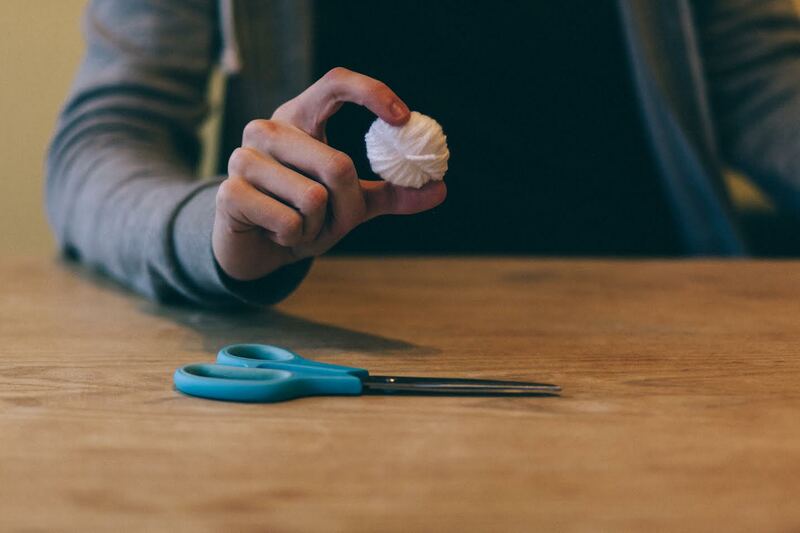 Don’t forget to share your Christmas craft ideas (or what you think of ours!) in the comments section below, or on Facebook/Twitter/Instagram. It’s a “Collective”, after all! 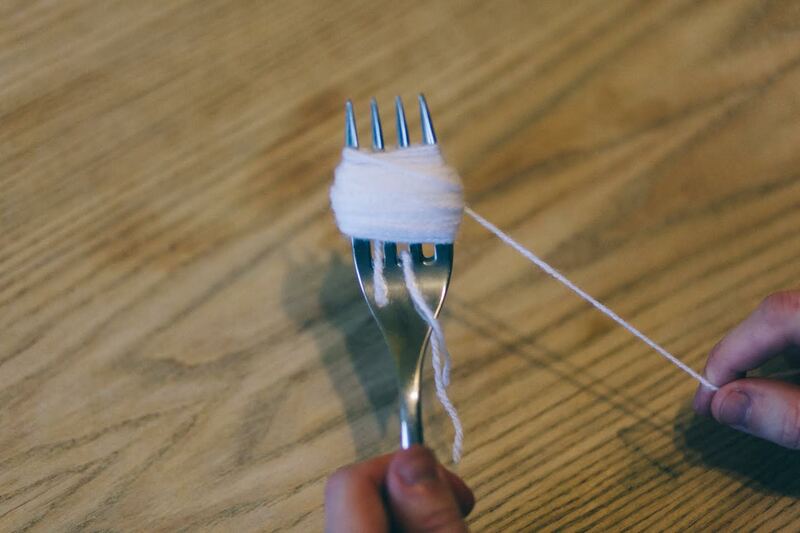 Start wrapping your wool around the fork, trying to keep it quite taught. 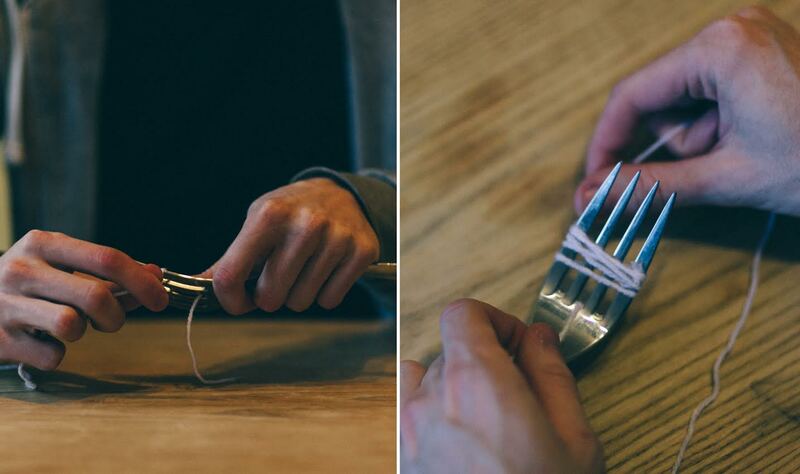 You might notice I have a bit of wool in the middle of the fork. This is the bit you use to tie the whole thing together in place. You can thread it through at the end, but I find it easier to start with it already there. Top tip! Keep going until it looks like this. Once you think it’s finished give it a few more wraps to be safe! Oh hello, there’s that wee bit of wool that we already thread through the beginning. It’s now your turn to shine! Use that extra bit of wool to tie the bundle together. 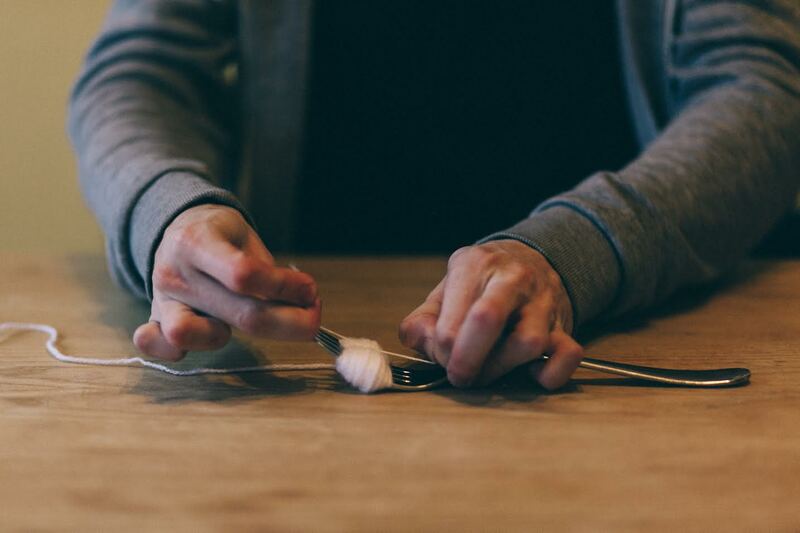 I actually tie it tighter again once I’ve pulled it off the fork… too many pom-pom mishaps because I didn’t do this. Top tip numero two. 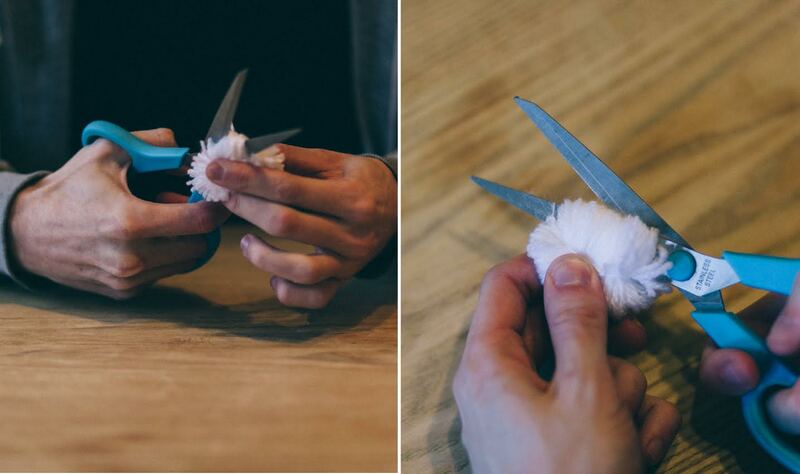 Get some sharp scissors and cut through all the loops you made. Be careful not to be too violent as it might pull the wool out and you are back to square one. 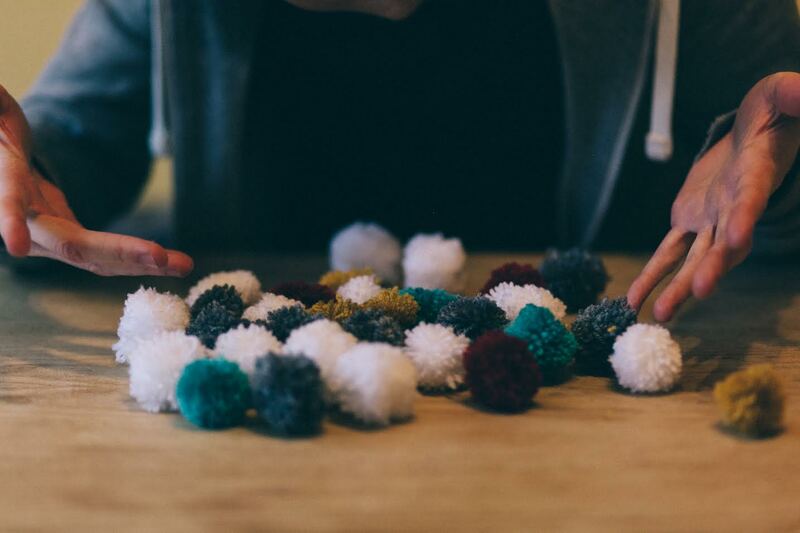 You’ll have a pom-pom with a bit of bed-head at this point. 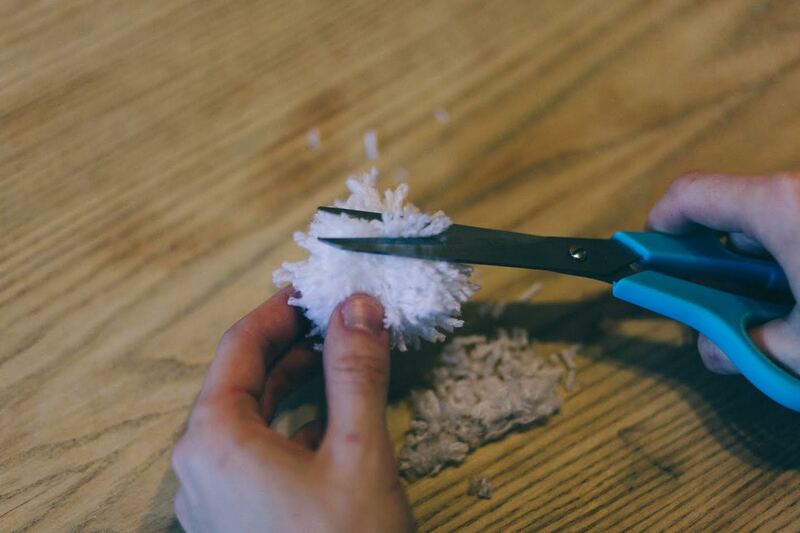 Take your shears and give it a hair cut. Ta-daaaa! Hope you enjoyed that. 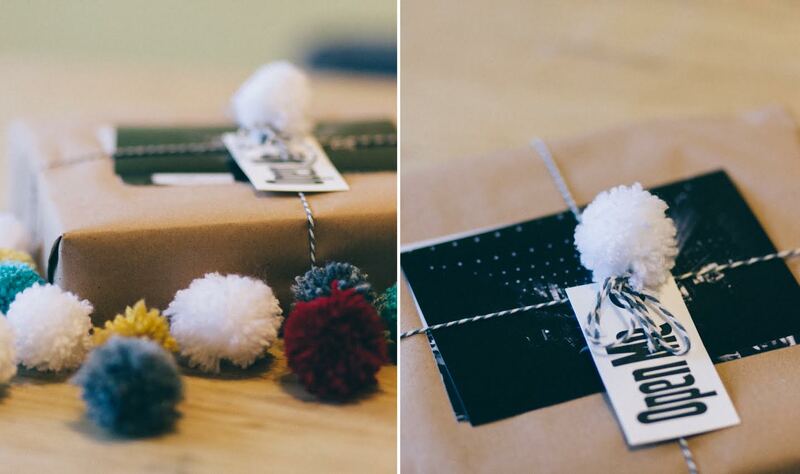 I’m working on a black and white Christmas for our wee house so will definitely be making some pom-poms for the tree. Thanks, Ben! Ps: hang around and read a really fun interview Ben did with Mel last week all about his art.